Five days ago I was suspended in the sky above Notre Dame, with a 360-degree view of Paris. It was a unique place to be. High on a scaffold with the cathedral’s spire towering above me — The Arrow as it is known here. Now, The Arrow has fallen, and Paris is in mourning. It was so different last Friday. The precious copper statues of the 12 apostles and 4 evangelists caught the sunlight as they were lifted off the cathedral roof, wings glinting as a crane lowered them gently to the street below. 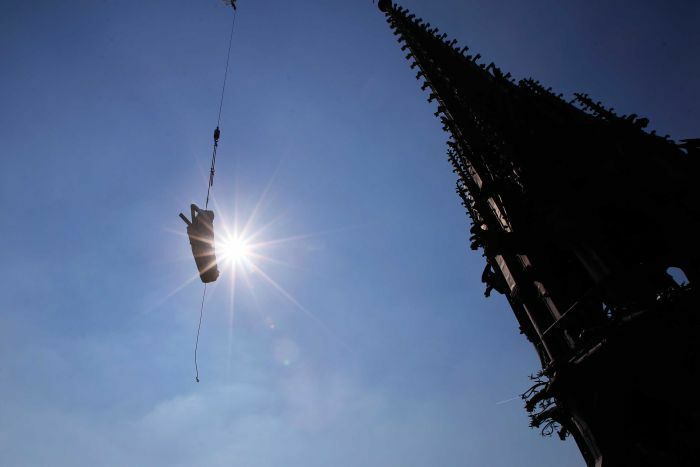 There the statues were carefully packed onto a semi-trailer to be taken to southern France for restoration — the first stage in a $9.48 million (six million euro) renovation of the cathedral’s roof and spire. The architect and archbishop watched the delicate operation closely, delighted it all went according to plan. Sadly, that long-awaited restoration may have contributed to the devastating fire that followed. I was waiting for President [Emmanuel] Macron to speak at a 7:00pm news conference when social media lit up — Notre Dame was on fire. I went into breaking news mode, dispatching AP camera crews and reporters. We’ve been through so much tragedy in Paris this past five years that at first I was a little relieved — it wasn’t a terrorist attack, and no-one had died. Then a tourist rang me, saying he had video of the fire and would email it to the AP. As I watched The Arrow collapse in flames on a video clip that would soon be seen around the world, the scale of our loss began to sink in. When you’re living as a Parisian, Notre Dame is ground zero; all distances are measured from there, and it looms large in our lives. Put simply, Notre Dame is Paris. I’ve taken my Aussie children there many times — they love it almost as much as the ice-cream we always buy nearby. My son rang me immediately, devastated: “Oh my God Mum, what is happening?” he cried. Soon texts and emails began to flood in from Australia, America and friends in far-flung places. I never realised the place the cathedral held in people’s hearts around the globe — it’s something that cuts across nationalities and religions. Anyone who has gazed up at Notre Dame’s stained-glass windows remembers it for a lifetime. I will always remember that beautiful Friday morning, soaring up on the lift through the scaffold, then looking out over Paris with Montparnasse and the Eiffel Tower laid out below me. Incredibly, the firefighters of the Pompiers de Paris saved the cathedral’s facade and iconic towers. 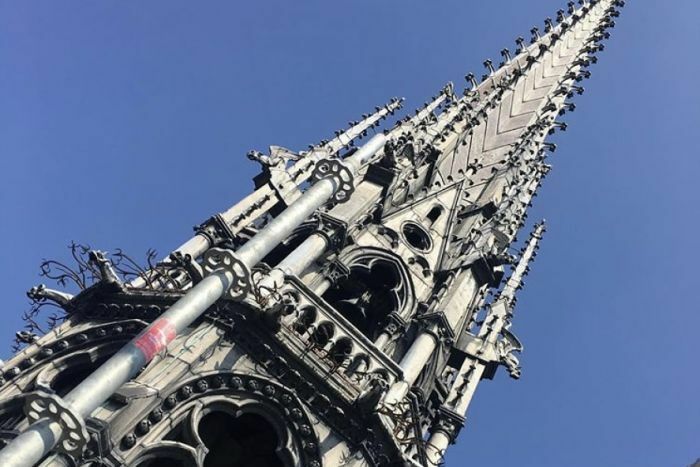 Notre Dame will be rebuilt, and one day, the massive statues will return to their rightful place beside a new Arrow. Perhaps it’s a blessing they were saved that sunny morning. Masha Macpherson is an Australian journalist working as a senior producer for The Associated Press in Paris. 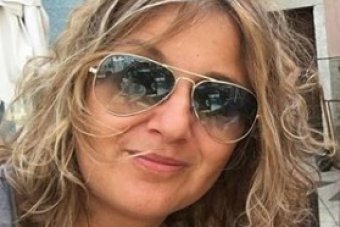 She has lived in the city for 19 years, bringing up two “very Aussie kids”. She shared her story with ABC News Editor Mark Davies.